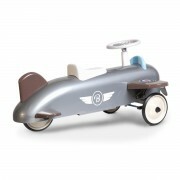 Lead by Emmanuel Nouveau, Baghera is a world renowned producer of children’s metal cars. 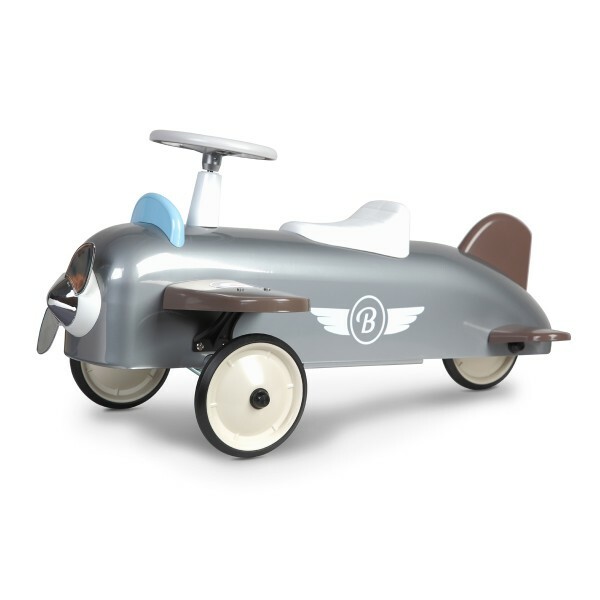 Located near Paris, France, their talented and enthusiastic designers focus on producing a new vintage inspired pedal or push car every year that will provide hours of fun as well as motor skill development for kids aged 1-6. All Baghera cars are made of high quality metal or heavy duty plastic, subjected to comprehensive testing via external laboratories and comply with European safety standards. 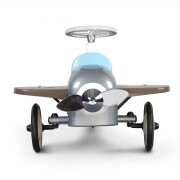 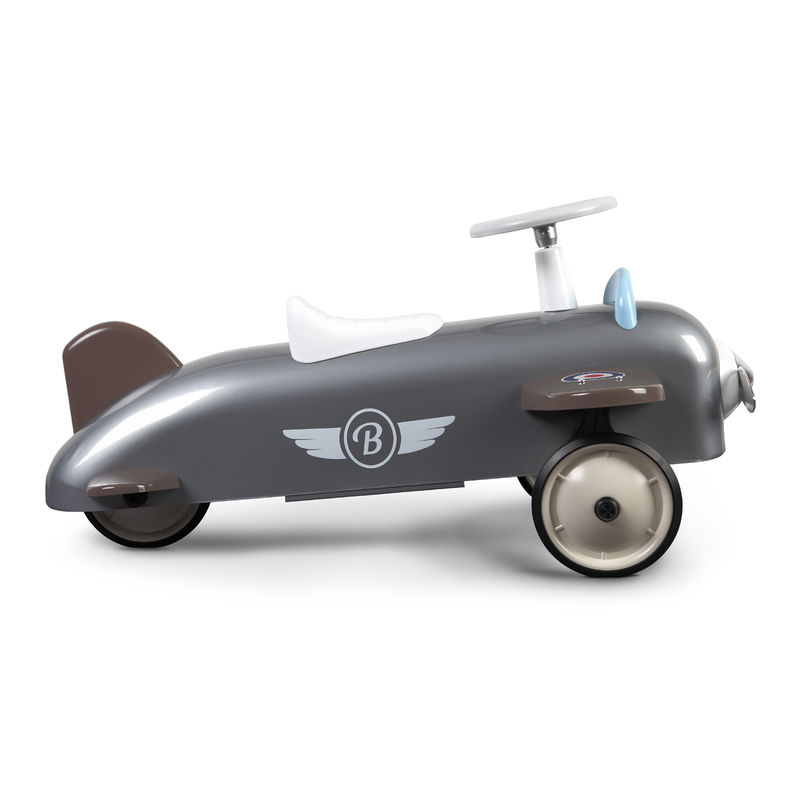 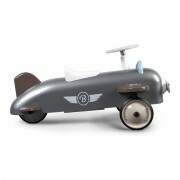 Baghera’s Speedster Plane ride-on is equipped with real functional steering, a metal body and rubber tires for your tot to fly (quietly) around the house. 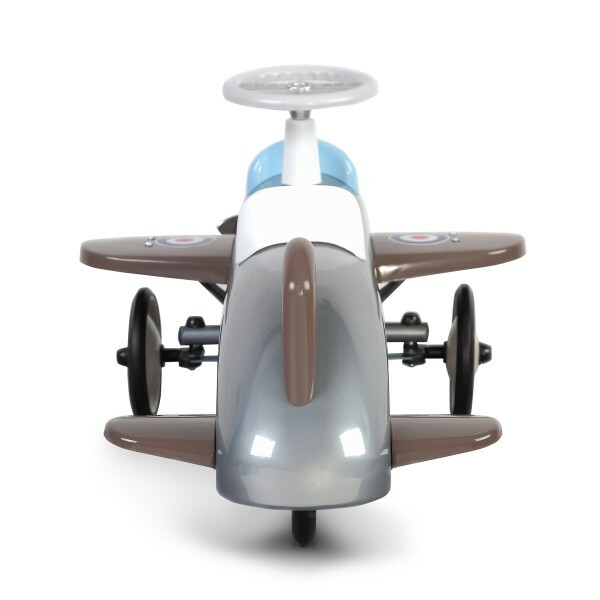 Aboard this aircraft, babies will be able to make up exciting stories while enhancing their coordination and motor skills.